via Bob Braun: Will New Jersey Disgrace Itself by Hanging On to PARCC Testing? Bob Braun: Will New Jersey Disgrace Itself by Hanging On to PARCC Testing? Details may be found at www.autismnj.org/transition. 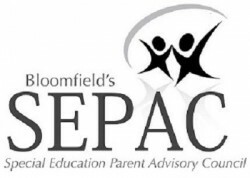 BLOOMFIELD SEPAC MEETING- Jan. 9, 2019 at BHS from 6-8 P.M.